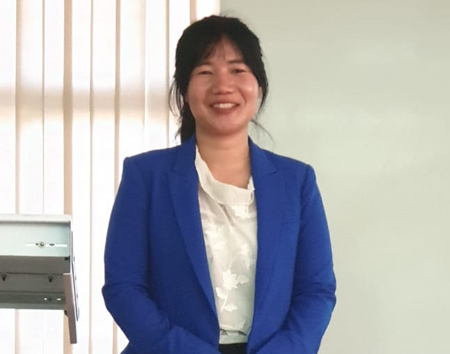 NIRJULI, Feb 1: Yana Bagbi was awarded a doctorate degree in physics by the North Eastern Regional Institute of Science and Technology (NERIST) here on Thursday. A native of Bagbi village in Upper Subansiri district, Yana is the first woman and the second person in Arunachal Pradesh who has been awarded a doctorate degree in physics. A graduate in physics from Jawaharlal Nehru College, Pasighat, Yana did her post-graduation in physics from the School of Physical Sciences, Jawaharlal Nehru University, New Delhi. in remediation of heavy metal ions (Pb2+ and Cr6+) from water’, under the supervision of Dr Arvind Pandey from the NERIST’s physics department and co-supervision of Dr Partima R Solanki from the Special Centre for Nanoscience, Jawaharlal Nehru University, New Delhi. Yana has developed a variety of low-cost nanostructured materials for remediation of toxic heavy metals lead and chromium from water. She is currently working on heavy metal ions monitoring and management using low-cost nanomaterials.